Kofi Kingston became an overnight sensation after he was chosen as a last minute replacement for an injured Mustafa Ali in the Elimination Chamber. Two months ago, Kofi was nowhere near even a singles run, more so a title run with the top title in the company's history. Now there's a hope that he can win the title at the Grandest Stage of Them All, WrestleMania. After being screwed out of the Fastlane's WWE Championship match, the New Day questioned Mr. McMahon for his actions but the Chairman continued to screw them over. 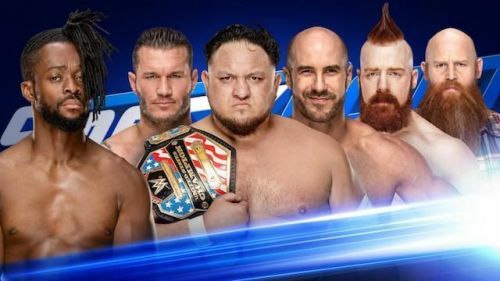 Finally, during last week's Smackdown, Vince McMahon announced that Kofi Kingston is scheduled to take part in a gauntlet match against both members of the Bar, Rowan, Randy Orton, and Samoa Joe in order to qualify to become the #1 contender for the WWE Championship. Moreover, there's a solid chance that the rest of the New Day would be banned from the ringside to avoid any chance of help for Kofi Kingston. 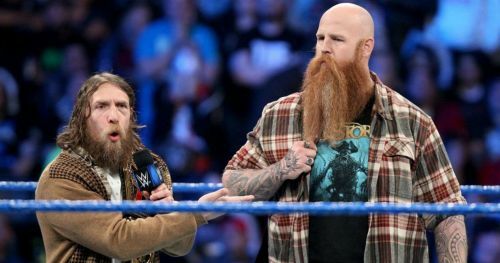 The WWE champion Daniel Bryan accompanies Rowan to the ring and joins the commentary table as a guest commentator. Rowan being a massive monster, dominates the whole match, and Kofi, being the underdog, always somehow finds a way to survive. During the last leg of this match, as soon as Kofi starts building momentum, Daniel Bryan gets up from the commentary table and attacks Kofi. Both Bryan and Rowan then leave the ringside leaving an incapacitated Kofi in the ring. Due to Daniel Bryan's interference, Rowan gets disqualified, but is saved from eating a pin and Kofi moves on to his second opponent, Cesaro.